Possibly one of the most creative minds in fashion, Alexander McQueen was a British fashion designer and Couturier. Credited with some of the most fantastical and sometimes bizarre runway shows, McQueen's legacy as an eccentric personality has forever been cemented in the history of fashion. This has indeed been carried on after his passing in 2010, with current creative director Sarah Burton. The label is known for its extravagant designs and theatrical ramp shows, a fact any self-professed fashion lover will appreciate. Every season, the McQueen label collection is presented to the industry with huge anticipation. 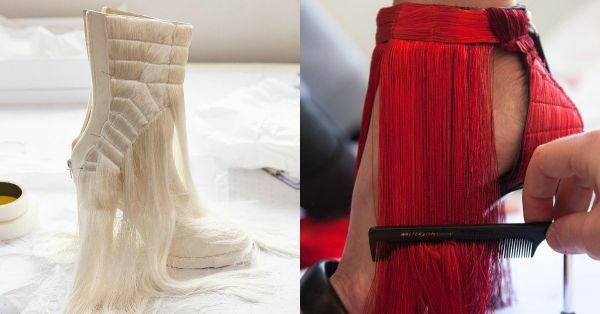 For their Autumn/Winter 2018 collection, the designers have taken a deep dive into the use of delicate thread fringe trims in their designs. The label has certainly tapped into the growing popularity of fringe. It's an added detail which doesn't weigh down a fabulous outfit but does turn heads. Dresses, jackets, bags and a few other wearables benefit greatly from this added trim. Aren't they absolutely breathtaking? Stick around for more dreamlike fashion finds right here on POPxo!